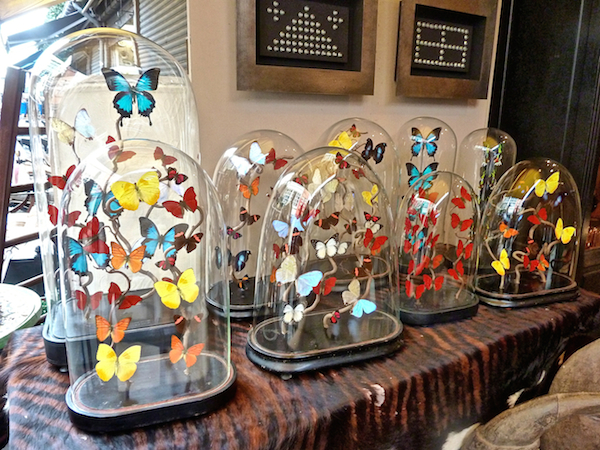 What design maven doesn’t dream of shopping at Les Puces, the famous Paris flea market visited by thousands of designers and tourists weekly from around the world. Well our dream came true last January when Susanna and I made the trip with designer Timothy Corrigan. 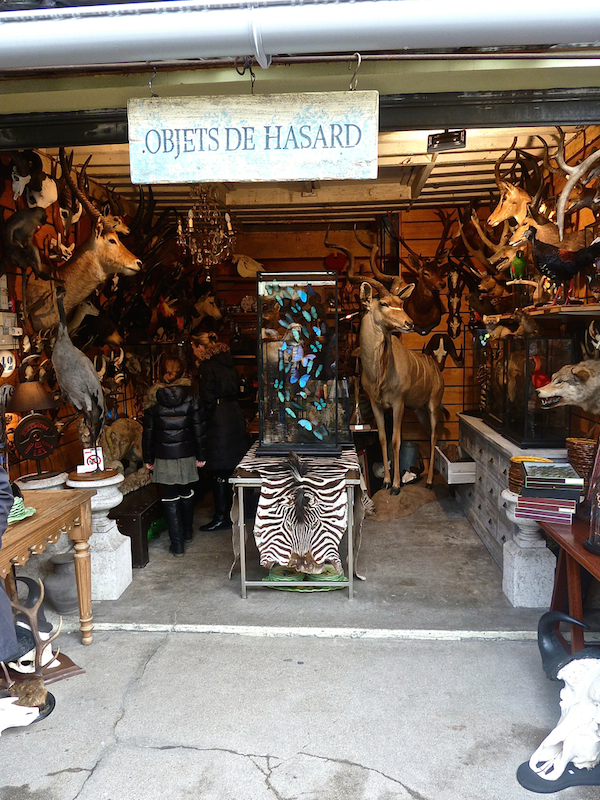 With a chateau in the Loire and an apartment in Paris, Tim makes frequent outings to le Marché aux Puces, finding treasures for both himself and his international coterie of clients from Los Angeles to Qatar. Tag along as Tim guides us through the maze of temptation with tips and advice in our latest video. 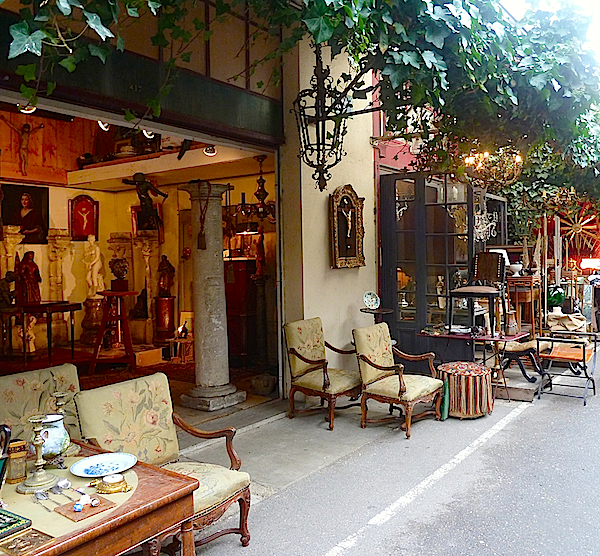 From fine 18th century antiques to mid-century modern lighting to architectural elements, you can find almost anything at Les Puces. It is an overwhelmingly huge circuitous labyrinth of shops and booths that is fun to browse but so much more efficient to navigate with an expert like Tim. Clients from Hollywood celebrities to Middle Eastern royalty count on Tim for his extensive use and knowledge of antiques, mixing them effortlessly to create his signature look of European elegance with California comfort. You can read more about Tim’s take on finding and using antiques in two pieces we collaborated on last year: Designing and Living with Antiques and Antiques and Interiors Part 2.
to even exotic, Tim has found a home for amazing finds like these from Les Puces. And with his new tabletop collection for Royal Limoges, his line of bath fixtures for THG Paris debuting next year and his integrated line of fabrics, furniture, trims and rugs for Schumacher and Patterson, Flynn & Martyn, he’s got a lot of furnishing territory covered. I had asked Tim when his Schumacher lines debuted in the spring what he wanted to achieve with these collections. “Design is always operating on a pendulum shifting from one broad area to another and we are currently moving towards a warmer, more organic, lyrical and layered aesthetic. 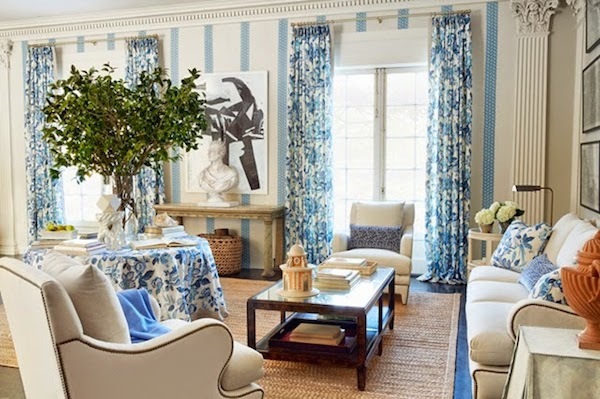 I wanted the collections to reflect that transition with patterns and colors that are vibrant and nuanced. I am also excited to share that, for his monumental restoration and decoration of the château, a French national landmark representing one of the purest examples of 18th century architecture, along with years of “exemplary accomplishments working in exquisite French Style,” Tim will be honored by the French Heritage Society at their annual New York Gala next week. Such a well deserved honor for one of the warmest and most gracious talents I know. So mille mercis Tim, for your time, your knowledge and your generosity. I know I speak for Susanna too in saying we had the most wonderful day! This entry posted in art, furniture, interior design, Quintessence video series, Stylish Shopping, travel. 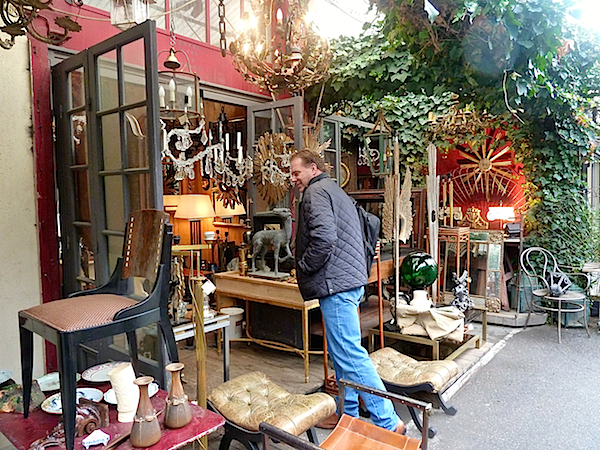 Entry Tags: antiques, design video, Les Puces, Paris flea market, shopping for antiques, Timothy Corrigan Bookmark the permalink. Love these segments….so many excellent ideas! Quick question–who makes Susannah’s jacket? It looks perfect for all kinds of weather. Love used to love hunting at les puces, can’t wait to watch the video to see his advice. Staying at his chateau must have been amazing! Such a great story, thank you for sharing. Jane: Isn’t it great? I was lucky enough to find it shopping at a vintage Christmas Bazaar just before the trip! Lets make the trend of “moving towards a warmer, more organic, lyrical and layered aesthetic” last much longer than chevrons have! Hallelujah! 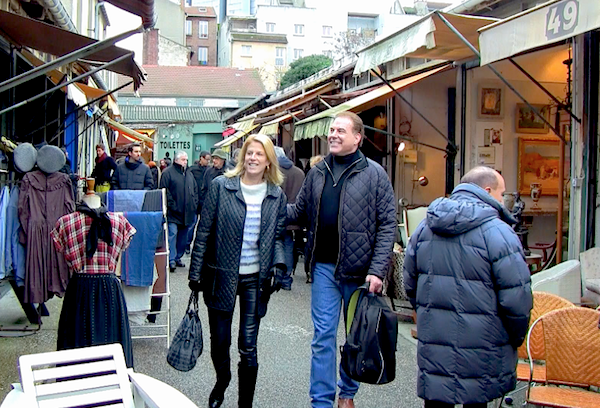 A wonderful time with Susanna and Timothy at The Chateau and on their shopping adventure! 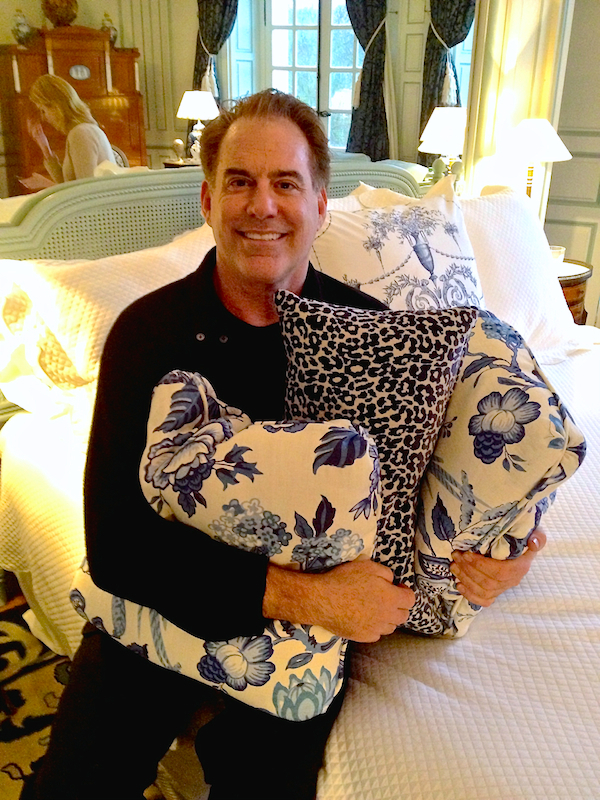 I love the photo of Timothy with his new pillow fabrics! I love your timing..the husband is going to Paris for business and it will be my first time there. I have plans to go to Les Puces next Saturday and you just gave me a shot of adrenaline! THANK YOU!!!! This was such a treat. I know les Puces well … but the chateau? My goodness. I love what a gracious and welcoming space it is. Merci à vous tous! I would love to go digging through a couple of these stores. Looks like it was an adventure! 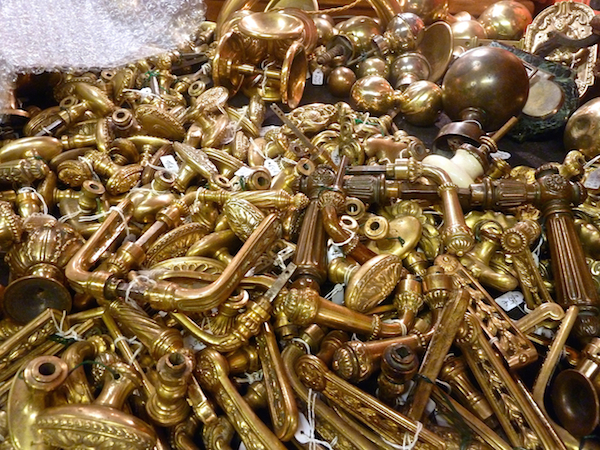 I now really want to go to the Paris flea market! Thanks for all the great tips. Nice article! I just got back from Paris. 84 queries in 0.537 seconds.